Dr. Muller's research focuses on coral health and disease dynamics. She applies a comprehensive approach that spans from understanding shifts in microbial assemblages of corals to applying hierarchical spatial and temporal models to understand the drivers causing coral-disease outbreaks. Dr. Muller's goal is to determine how coral health and disease change under climate change and ocean acidification conditions. She anticipates that once we understand the mechanisms leading to compromised coral health we can prevent disease outbreaks in our future. 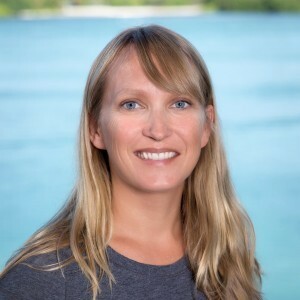 In April 2018, Dr. Muller was promoted to Science Director of the Elizabeth Moore International Center for Coral Reef Research & Restoration. 2011 Ph.D. Biology, Florida Institute of Technology, Graduate Advisor: Dr. Robert van Woesik, Ph.D.
2007 M.S. Marine Biology, Florida Institute of Technology, Graduate Advisor: Robert van Woesik, Ph.D.